Farm life has taken roots in cities and suburbs across America. A new type of neighborhood known as an "agrihood" — short for agricultural neighborhood — marries idyllic settings in nature with resort amenities. Loosely defined by the Urban Land Institute as master-planned housing communities with working farms as their focus, many agrihoods offer ample green space, barns, outdoor kitchens, and farm-to-table restaurants. Millennials, who tend to value experiences over material things, are now shunning the tony golf communities of their parents in favor of agrihoods. These communities are designed to appeal to young families who want to eat healthy, spend time outdoors, and be part of a community. Rancho Mission Viejo, a development company based in Southern California, trademarked the term "agrihood" in 2014. Its first two villages — Sendero and Esencia — use a focus on sustainable living to draw young families, as well as active retirees, to Orange County. Rolling citrus groves and miles of protected creeks create an idyllic backdrop for Southern California's largest agrihood. All residents have access to communal farms with orchards and workshop space, raised planters, in-ground crops, fruit trees, and community events. Rancho Mission Viejo is expected to build up to 14,000 homes (of which about half will be reserved for people age 55-plus) as well as a "glamping" campsite, over the next 20 years. Time seems to move more slowly at Serenbe, a community on the edge of Atlanta. It sits on preserved forests and meadows with miles of nature trails that connect the homes. Local food, fresh air, and a focus on wellbeing create a new standard for community living at Serenbe. Blueberry bushes line the sidewalks, and residents can pick fresh produce from a 25-acre organic farm. The development also hosts concerts, artist lectures, and outdoor dinners. Serenbe is one of the larger agrihoods on this list, with at least 400 residents. There's no place like Homestead. The 10,000-acre nature preserve includes both a golf community and the Village at Warm Springs Farm, an agrihood built around a farm. Nestled at the foot of the Allegheny Mountains, the Village at Warm Springs Farm is a new addition to the existing golf and tennis club on the preserve. Pasture-raised cows and sheep graze outside the front doors of its 35 "rustically charming" cottages and dairy center. 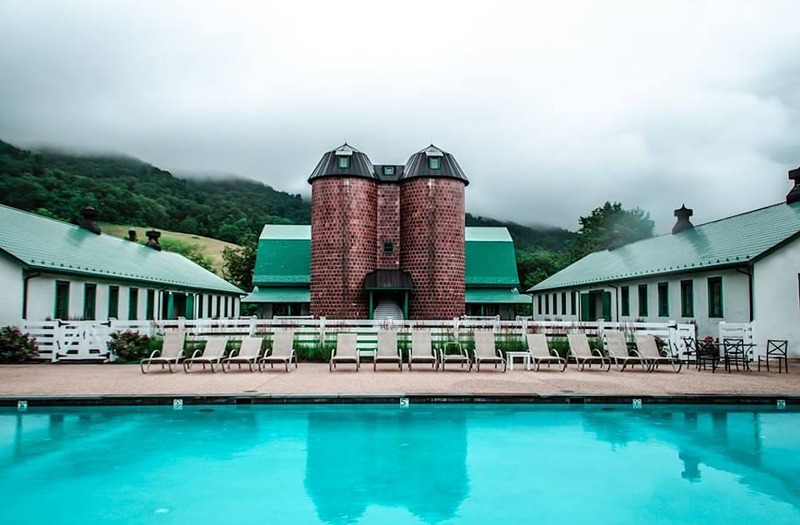 No ordinary dairy center, the Village boasts resort amenities including a fitness center, whirlpool, sauna, game room, pool, and a farm-to-table gourmet eatery called the Milk House Market. Developers broke ground on the Village at Warm Springs Farm last spring. Walden Monterey, a new 22-home enclave set on a hillside overlooking the California coastline, bills itself as Walden Pond 2.0. Each home sits on 20 private acres. Inspired by author Henry David Thoreau's search for solitude in the Massachusetts wilderness more than 170 years ago, the pricey development (each 20-acre plot costs $5 million) marries an idyllic setting with internet, electricity, and other creature comforts of the 21st century. The community at Walden Monterey is still under construction, and no homes have been built yet. The developer is betting that tech executives, looking to unplug from the daily grind of Silicon Valley and reconnect with nature, will find respite on Walden Monterey's 609 acres. Four distinctive but interconnected hamlets form the agrihood of Willowsford, which is situated around a 300-acre working farm. It boasts its own weekly farmers' market. Residents have access to an enormous backyard garden — with none of the responsibilities of caretaking. The land is used to cultivate more than 100 varieties of vegetables, herbs, fruit, and flowers, and to raise several breeds of livestock. A demonstration kitchen hosts cooking classes and events. More than half the land at the compound is designated as open space. Kohanaiki is an invitation-only private club community set on 450 oceanfront acres of the Big Island of Hawaii, once the playground of Hawaii's greatest king, Kamehameha I.
Kohanaiki is the first luxury development to rise on the Kona Coast in nearly a decade. Though it leans closer to golf community than agrihood, a commitment to preservation sets it apart. Homes range in size and price from $3 million to $30 million. Plants thrive in the rich volcanic soil at Kohanaiki's biodynamic organic farm. Residents can take a stroll through the "produce aisle" and pick up fresh guava, pineapple, and bananas to make a smoothie. They can also snag aloe vera and lavender to mix their own spa treatments. A lush oasis located inside the Phoenix metro area, Agritopia aims to remove physical, social, and economic barriers between neighbors by stacking houses close together. If privacy is a top priority, Agritopia isn't for you. More than one home often shares a single lot, in an effort to make the most of the land and inspire relationships between neighbors. Agritopia calls farming the "backbone" of its community. Residents savor the bounty of fresh produce provided by 160 acres of farmland at the site's farm-to-table barbecue joint and cafe.